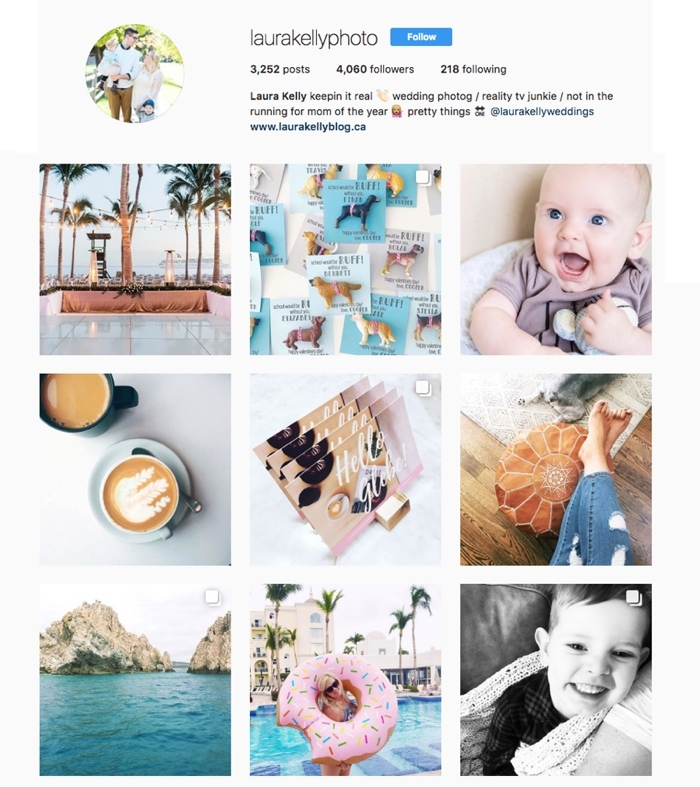 Instagram accounts: one for business, one for personal? I googled that sentence a couple times, desperate to read from real-life business owners about their experience with splitting their work-meets-life Instagram into two separate accounts -- but I couldn't find much that really spoke to me. Maybe I should be separating my portfolio content from my real life posts... But gahhh, I had spent all this time and effort building a great community on my personal instagram! And really, people do seem to be interested in the wedding photos that I share over there... But maybe I could be sharing more? I was sick of answering my own questions day in and day out. And the same way I make any and all business decisions, I decided to jump right in with two feet, knowing it was time to sink or swim. Over a year and a half later, I'm here to write the post that 2016 LK was dying to read, in hopes that it might help just one other go-getter out there! I try to make my real life look pretty; it's no secret. I'm a big advocate for the clean-off-the-countertop-before-you-insta method of online sharing. Maybe it's not as "raw" or "real, " but it sure does make me feel a lot better, and my countertops get cleaned in the process. Amalgamating these two worlds might work for some, but it was always a struggle for me! And that struggle had me avoiding sharing certain photos, both business and personal. So you've decided you want to split, but dread that "Followers: 0" reality you're faced with. I got you, though. Bright, colourful, full of life, and joyous. It was so well received! I loved seeing all of the people who opted to follow both accounts, and much to my delight they weren't just my clients! People love beautiful things, but they generally love supporting their friends even more. After a year and a half with my business account, I can't imagine ever going back! Right after splitting my accounts I realized that I finally felt freedom to share whatever, whenever. Cute photo of the kids? There's a place for that. Curated invitation photo from my latest wedding? There were hundreds of people who I knew would love to see that. And for those who followed both accounts, it was as if they had a VIP pass to see what used to be my combined account, but with even more content than ever! 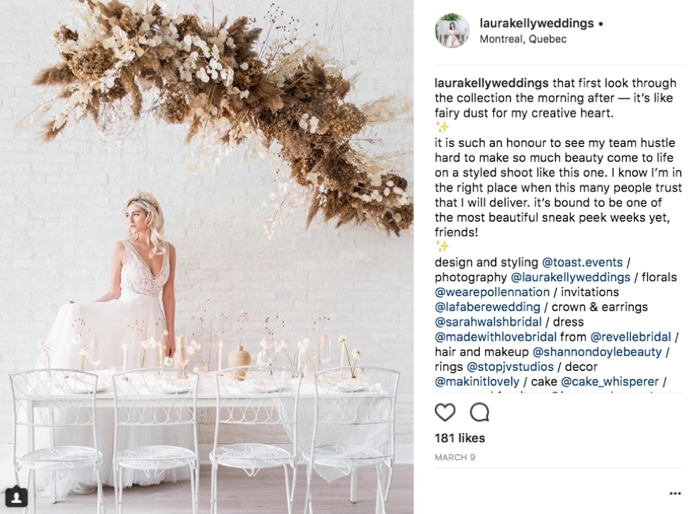 I no longer felt like I was bugging my clients with home decor posts, or annoying my guy friends with photos of wedding dresses. Surprisingly though, and this is something I treasure more than words, my guy friends are some of my most supportive followers on the business account! Who could have guessed! 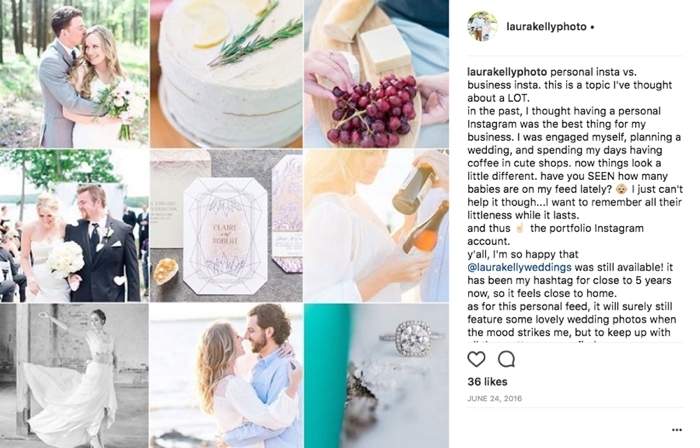 I love that a prospective client who might be searching for the term #ottawaweddingphotographers can stumble across my account and instantly know what I'm all about. In that split second she will know exactly the style in which I shoot, and she will maybe even see some familiar Ottawa faces as she scrolls. 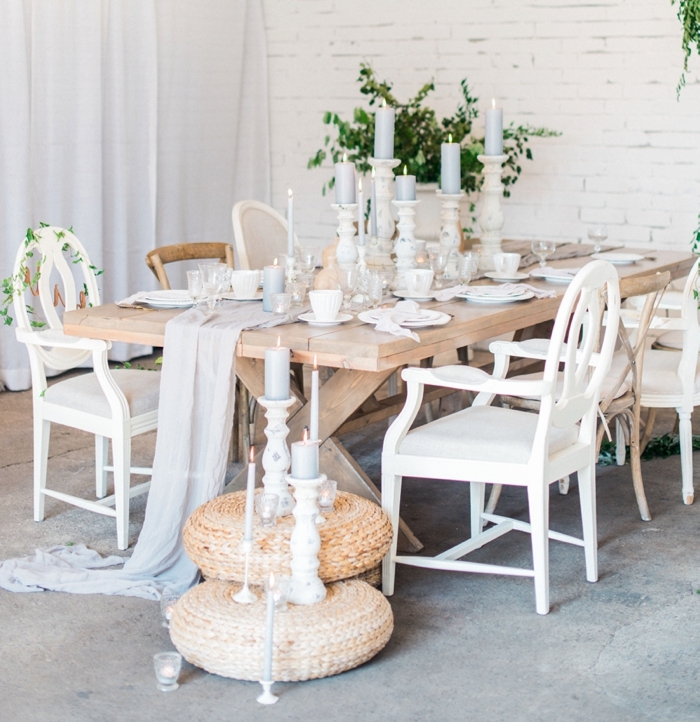 My love for bohemian living room furniture and flamingo-themed birthday parties might be something that she'll come to find interesting, but for right this second, I'm able to give her actually what she needs: beautiful, happy, curated wedding photography. Because a huge percentage of my following actually follows BOTH accounts, I make it a habit to never post Instagram stories to both within the same day. I don't need my followers to feel inundated with updates and try to distinguish the difference between my two accounts, so I make this decision day to day: is it a personal stories day? Or a business one? My recent kitchen renovation: obviously personal. Behind the scenes of working on a styled shoot: business! Obsessions over RHOBH: personal please. Even though the business page on Facebook is sort of a dying breed (thanks to a really terrible algorithm that makes us pay money for each post we want our followers to see), it's still an important piece of the puzzle! 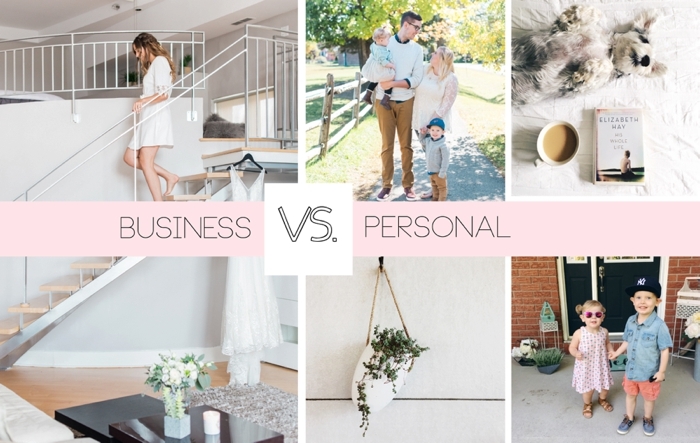 I see a lot of business owners who share ALL of their business content on their personal page (remember, that's essentially the only way it can be seen without the use of a credit card...), but I'm trying to be very conscious about how I use my personal account. As soon as someone sees too many business posts, they're only one click away from unsubscribing from all of your posts! I use my two Facebook accounts much like my two Instagram accounts: separate, but occasionally overlapped with intention. 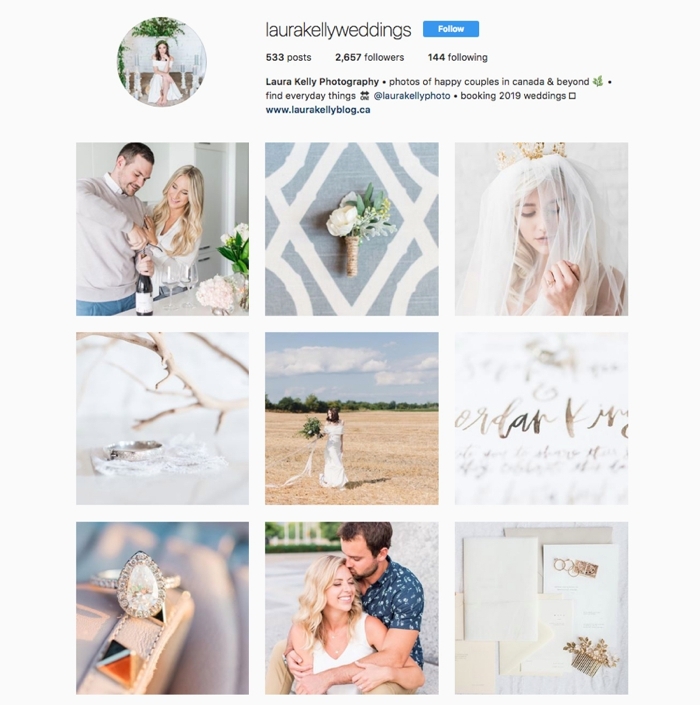 As we go into the 2018 wedding season, I feel comfort knowing there's a place on the internet where I can pour out my creative side, and use it to grow my business at the same time. I hope this post came in handy! Ultimately the decision is yours, but you'll know in your gut if it's the right time to make the switch -- even if you know it's going to be an uphill battle!